A backpack chair is considered an optional piece of hiking gear, except by those who are not fond of cold, hard rocks. Or it might tempt a hiker with back pain, looking for a bit more support than the nearest rock pile. To get a complete picture of why you might want to carry a backpacking chair into the wilds, let's take a look at not only the benefits, but the various types that are available to you. It's tough to talk about benefits without talking about where you're going to sit in the chair. backpacking for multiple nights when the cold, wet or rocky ground is unappealing for sitting down to a meal. But nothing says you can't use the same chair at the beach, a family gathering, a tail gate party, or your own backyard, right? So versatility is the first benefit. Back support and reduction of muscle fatigue is also important, especially after a long day wearing a backpack. Hunching over your evening meal will only aggravate those sore muscles. The proper alignment the best backpacking chairs give you can remind your back muscles what proper posture feels like. Insulation from cold and damp ground is important for maintaining body temperature. And it just feels great to have an extra layer between you and the damp, rocky or gritty surfaces you're routinely encountering on your hiking trip. In order to achieve these benefits, you'll have to consider how compact and heavy the chair is in/on your pack. And don't neglect to factor in convenience. If the backpack chair takes five minutes and three hands to set up, you won't be using it at your impromptu lunch spot. And you might be too weary at the end of the day to go through the ordeal of wrestling with an unwieldy set up process. 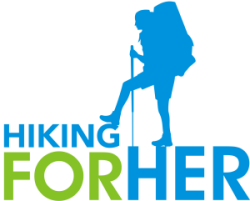 As with all of the best hiking gear, you'll do a delicate dance between the pros and cons. So where exactly will you be sitting in this chair? Car camping means that you set up a base camp at your camp site, intent upon enjoying day hiking for however many days you are lucky enough to be camping. simply take in the sounds, sights and smells of the camp site from the comfort and support of your lovely camp chair. And it sure beats sitting in the dirt! Unless you're amused by ants crawling up your legs. Car camping chairs will be heavier and more luxurious in terms of comfort, ease of set up, and stability. The fabric in a camping chair is typically more durable, and there's more of it to provide back support. The chair might have "deluxe" features such as a cup holder and storage pocket(s). If these are "must haves", be prepared for additional bulk and a larger footprint in your car or truck. A great camp chair will let you sit up comfortably while eating, provide enough seat room so you don't feel trapped in the chair, and give you a stable base on uneven surfaces. Here's a thorough review of how to purchase the best camping chairs. Or go with the brand I trust for a sturdy, well built but heavy camp chair: REI Co-op Camp Xtra Chair. Prepare to give up a few things in a backpacking chair, in order to trim weight and increase portability. The good news is that you will also trim the price to a certain extent. A decent backpack chair will provide back support and stability, weigh something less than a few pounds, and dry quickly if it's left out in the rain. It should be compact and easy to set up, too. However, don't expect the lightest chairs to keep you off the ground. Instead, you'll be sitting on a padded surface with straps that connect the bottom and back pieces of fabric (keep reading for my top recommendation). Note that because you want to sit off the ground, this chair will be somewhat tippy. Expert balance required if you're sipping hot chocolate! But it will hold you up, and that's what counts. 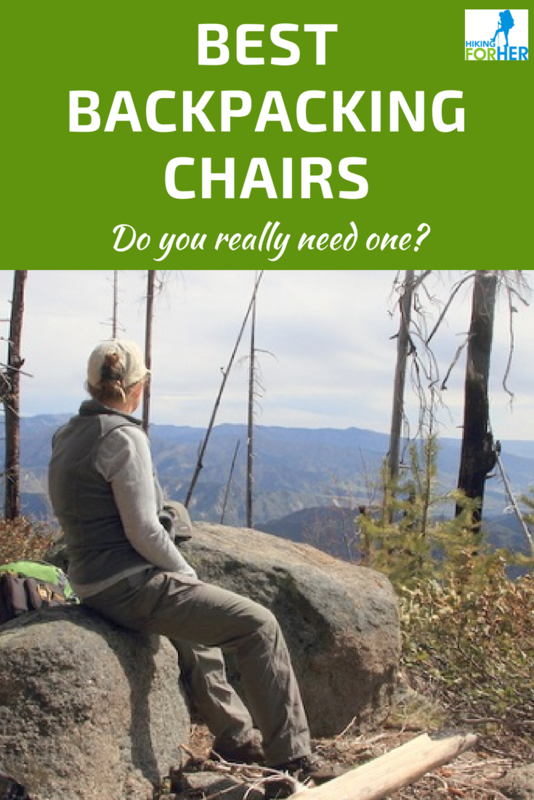 This review of the best backpacking chairs also includes videos, giving you plenty of data for making the decision about which chair will make you happiest as a backpacker. I've used lots of camp chairs and a few backpack chairs, and have some definite opinions on which are trail worthy. My favorite camp chair is pretty minimalist, considering all of the options available to you. It sits high off the ground, has a cup holder so I don't have to juggle my hot tea with my dinner plate, and distributes my weight evenly. It has its own stuff sack, making it easy to pack in the car. And the price point is reasonable enough that if it were to get too close to the camp fire, I wouldn't cry. Having said that, I should warn you that it's not the sturdiest chair in terms of holding weight. If you weigh more than 130 pounds, consider a different chair. And it weighs a lot: 7+ pounds. So it's strictly a camp chair. When looking for a good chair for backpacking, I consider how fast I can grab it out of my pack and get it deployed for some premium camp lounging. If you've noticed how few places there are to lounge in the back country in terms of stretching your legs and having back support for longer than ten minutes, toting a chair begins to make sense. Staying in my minimalist vein, I don't want the chair to do much beyond cushioning and insulating my back side, so here's the best choice I have found thus far. You'll still be sitting on the ground, but with a bit of padding. However, if you're a bigger person than me (i.e taller than 5'2''), this is not going to work for you. There's a "power lounger" version, as well as a "long back" version of this chair that would be better choices. Also, it may not be comfortable for longer than an hour of sitting. But if you're looking to enjoy dinner and then crawl into your tent for some much deserved sleep, this chair will work for you. And it weighs a pound, meaning that you'll have to leave a pound of something else at home. It can easily ride at the top of your pack, making rest stops and lunch breaks more enjoyable. No set up time necessary! Keeps your body heat in your body, not warming up the rocks on chilly or damp days. Really relaxes your muscles while you're resting, allowing you to tackle the trail with renewed enthusiasm. Proactive against back pains, worth the small investment of money IMHO. Car camping chairs can't be backpacking chairs, but the opposite is not true. If you're looking to save money and buy only one chair for both purposes, you will inevitably sacrifice comfort. And it's not unheard of to have two (or more) chairs, like me. Watch for end-of-season sales, and you'll be a happy, cushioned camper regardless of your destination!